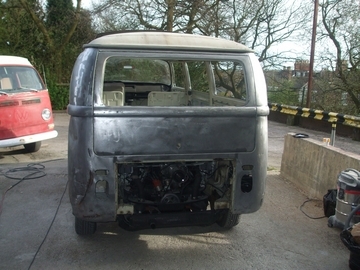 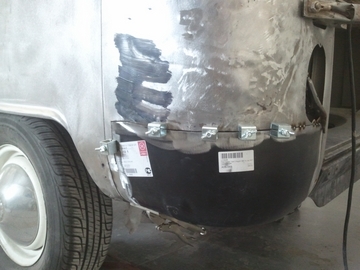 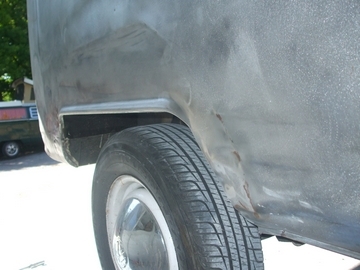 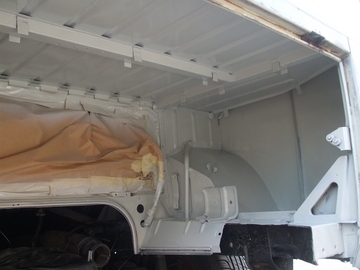 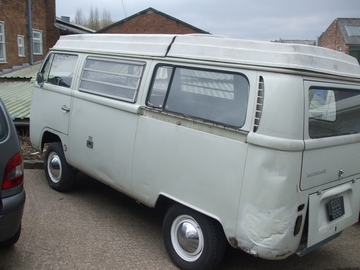 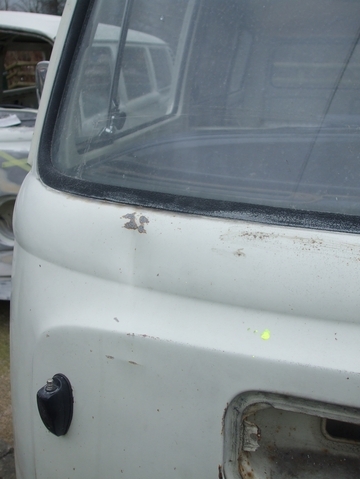 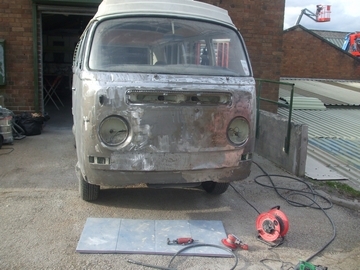 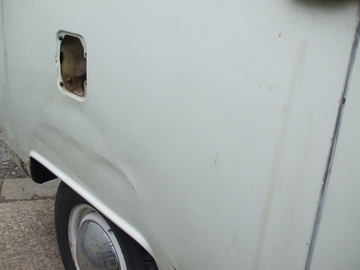 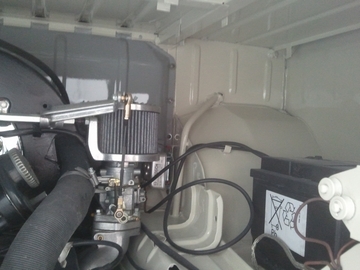 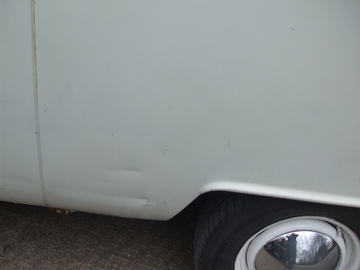 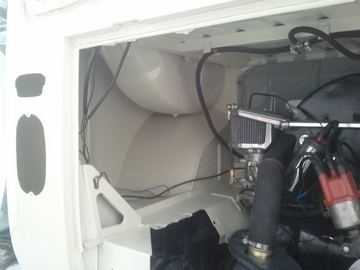 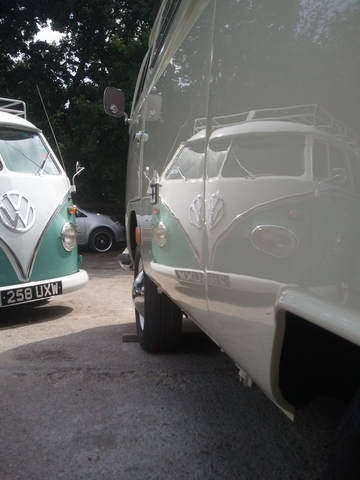 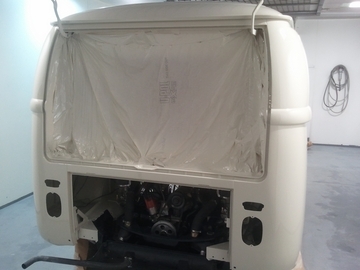 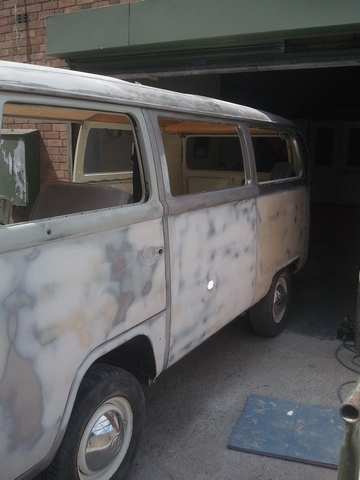 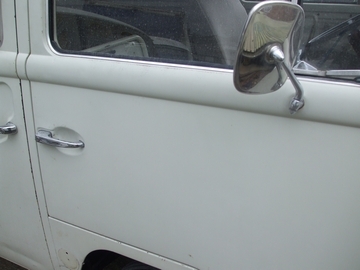 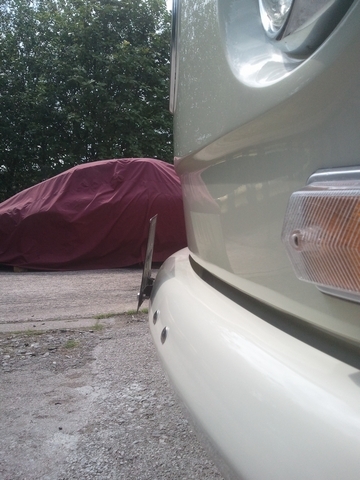 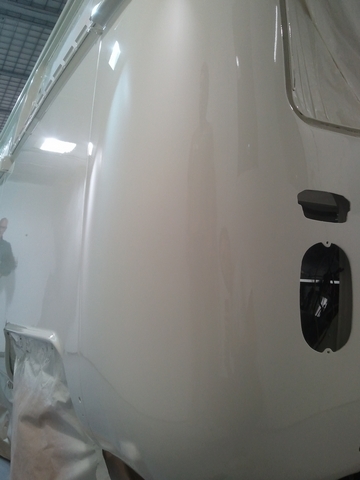 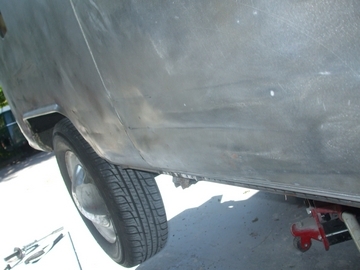 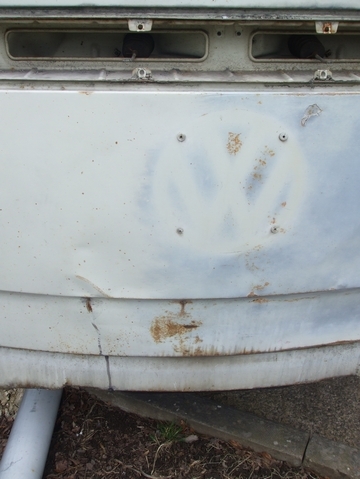 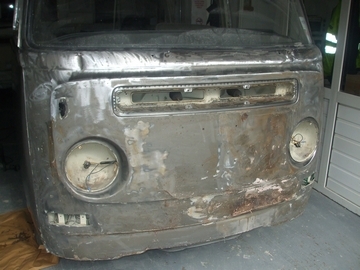 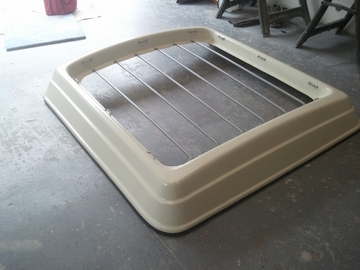 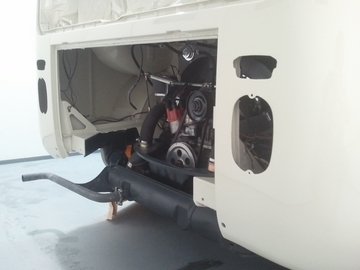 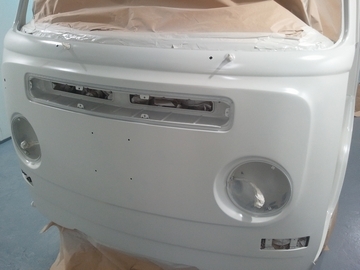 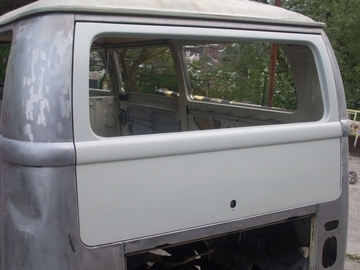 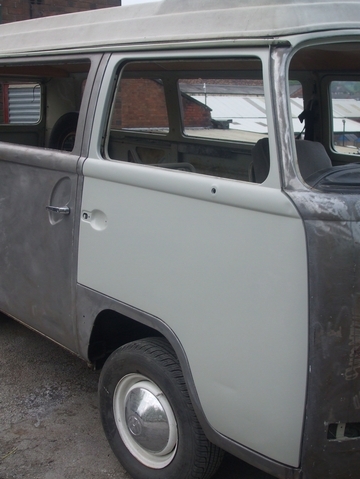 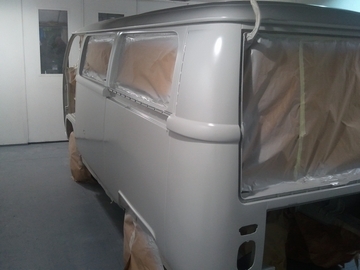 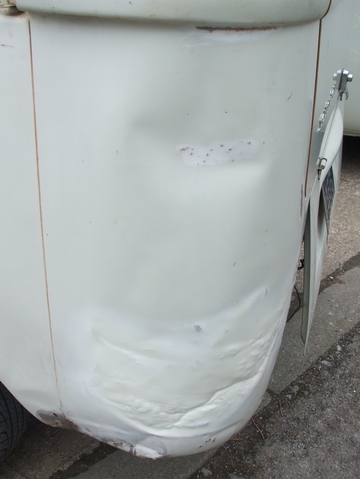 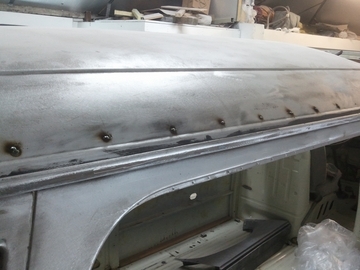 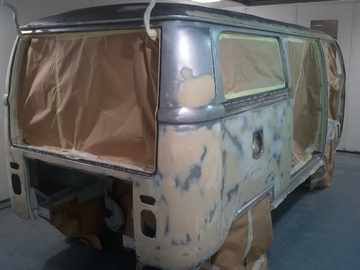 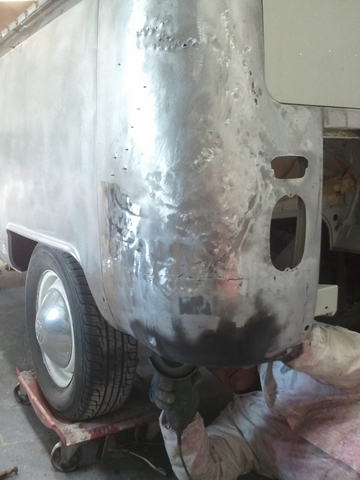 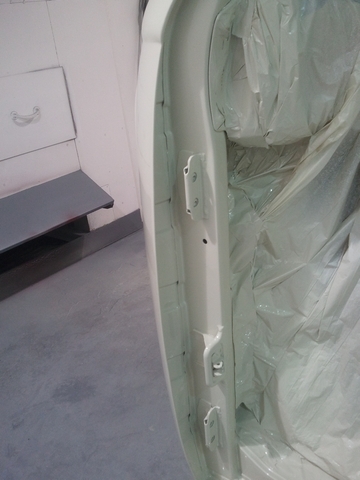 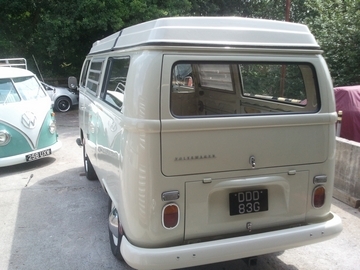 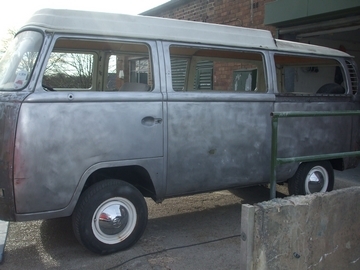 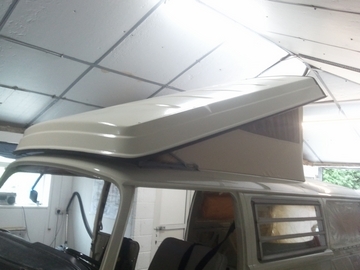 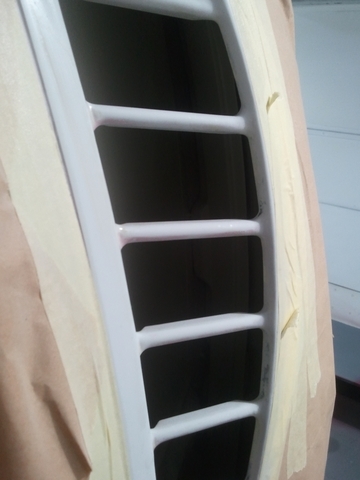 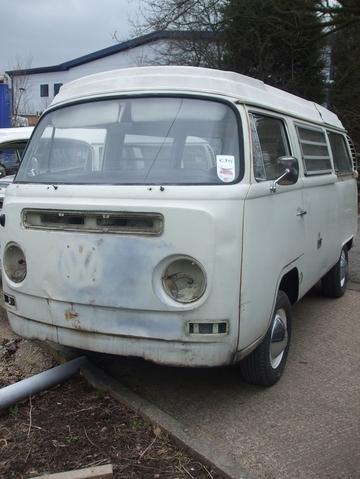 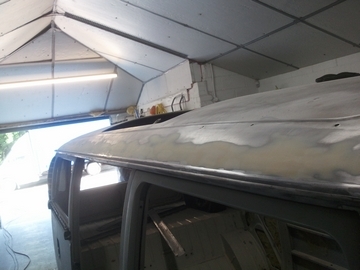 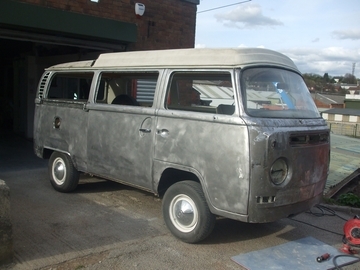 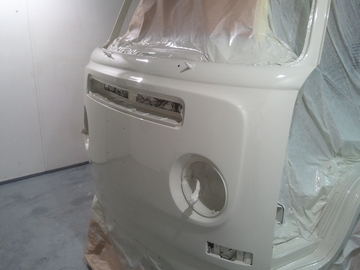 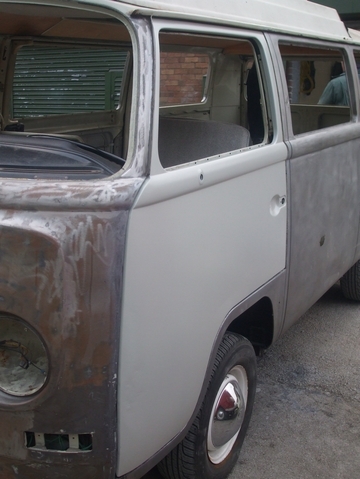 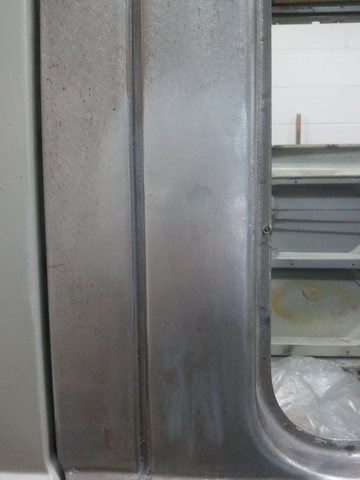 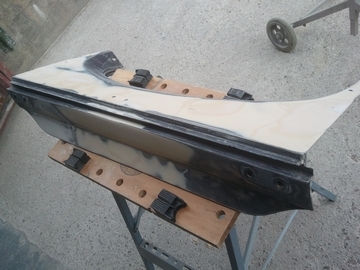 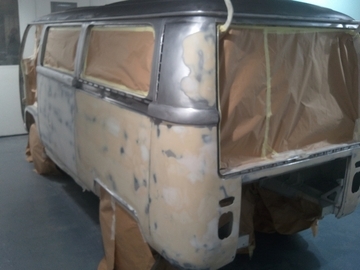 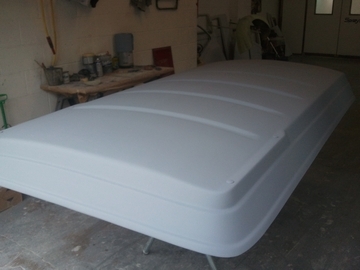 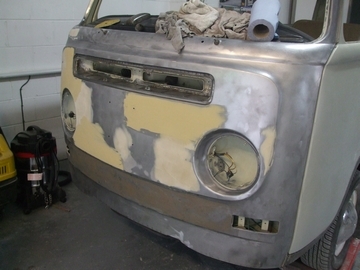 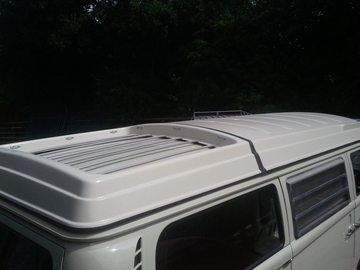 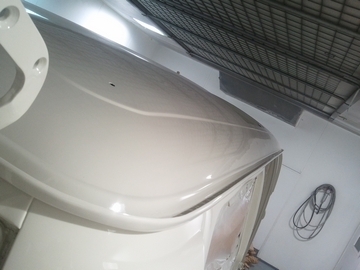 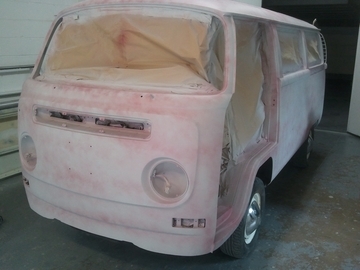 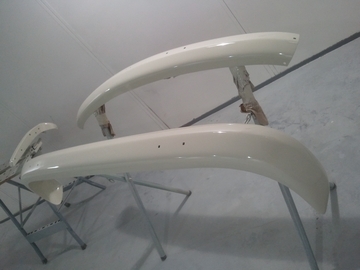 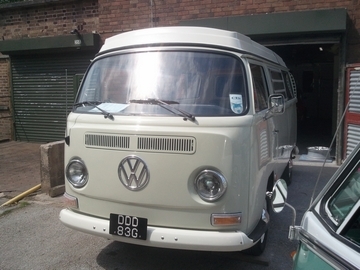 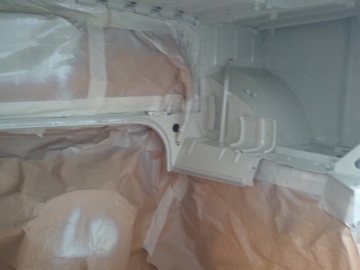 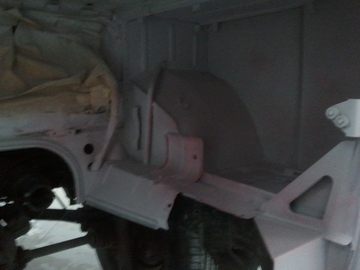 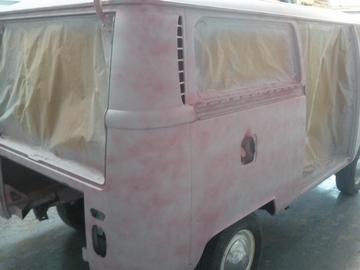 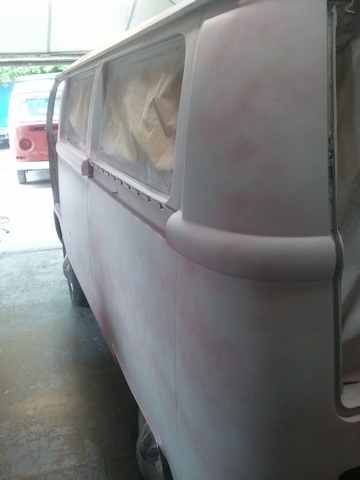 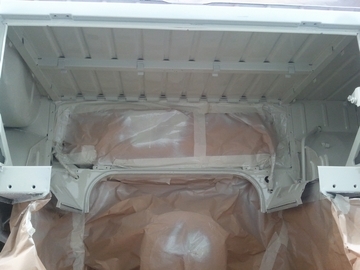 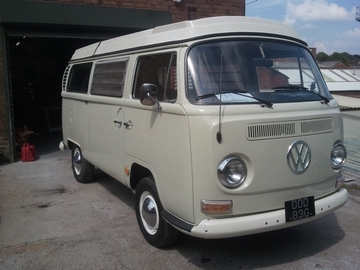 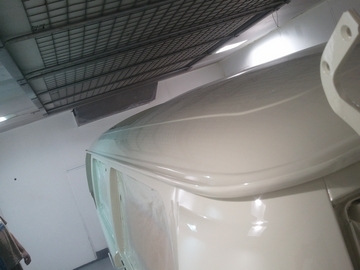 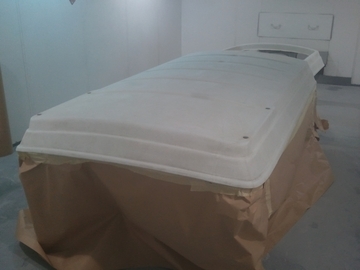 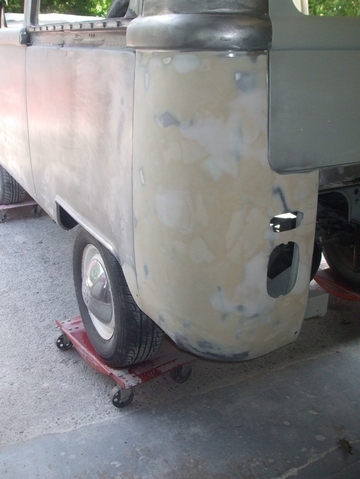 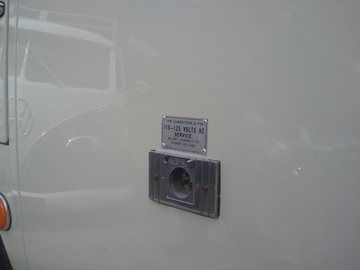 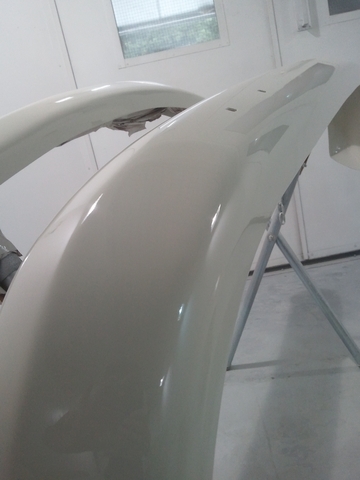 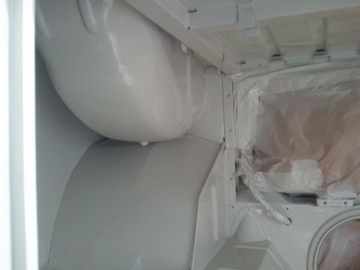 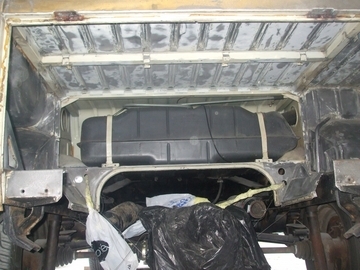 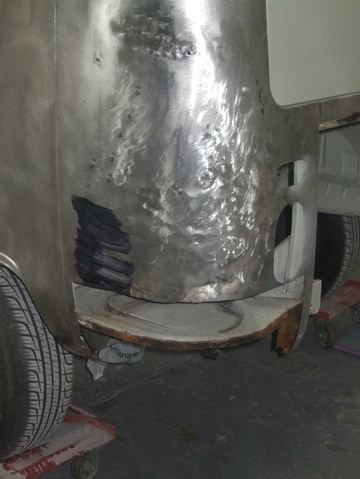 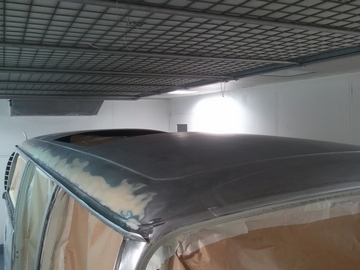 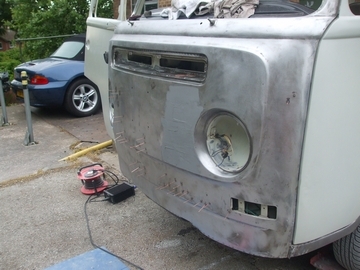 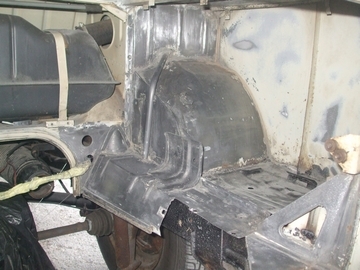 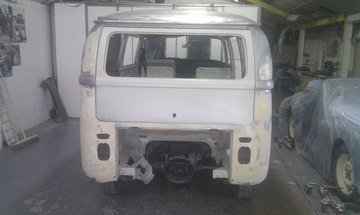 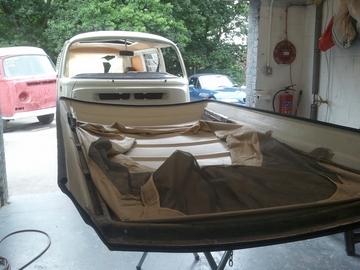 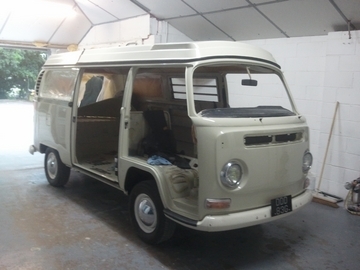 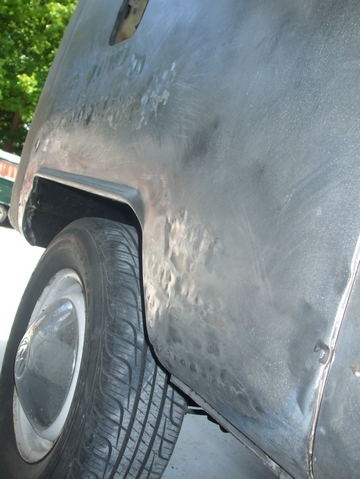 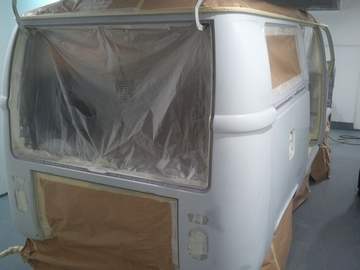 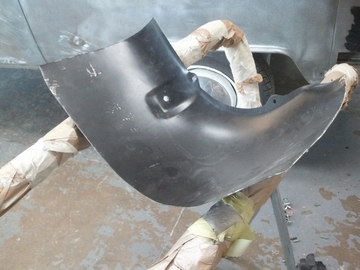 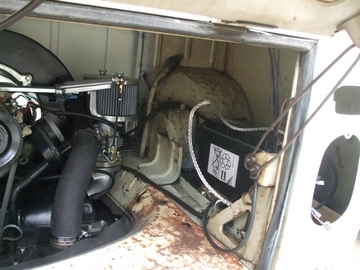 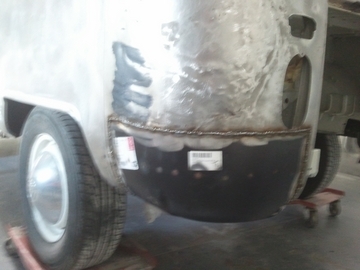 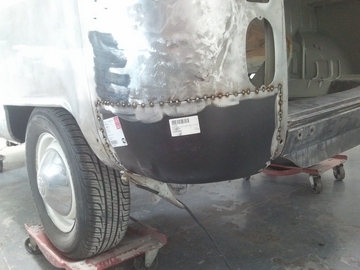 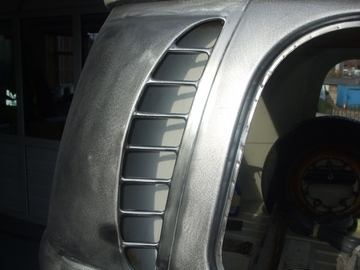 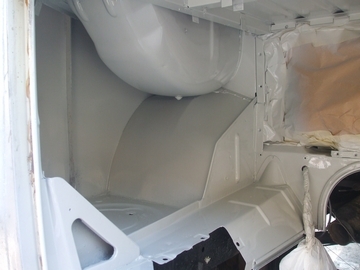 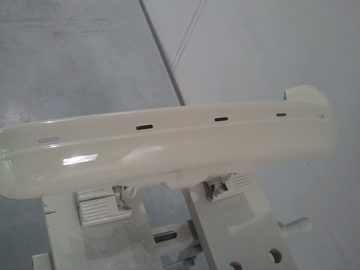 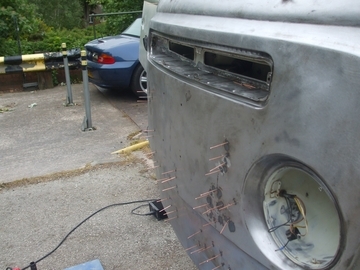 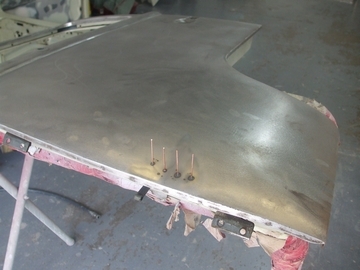 This is Mark's 69 early westy, its in for a full bare metal body restoration and repainted in the original L87 Pearl White, heres how it looks. 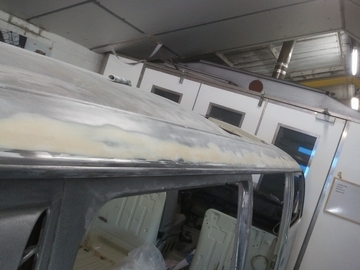 All the filler ripped out the front. 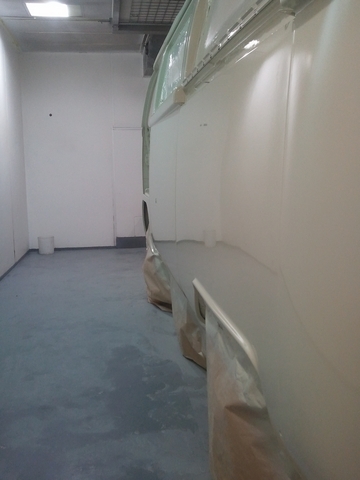 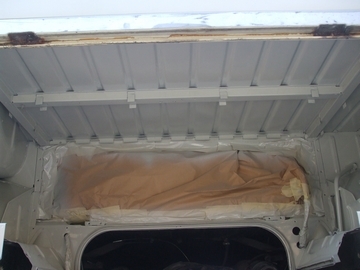 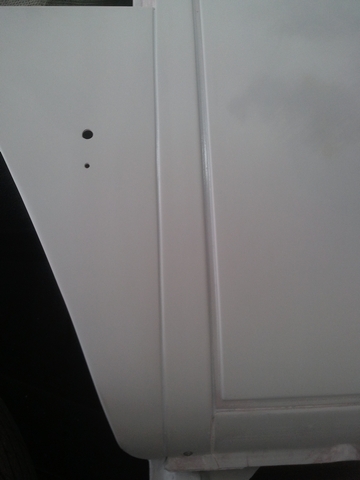 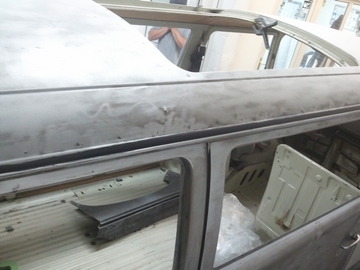 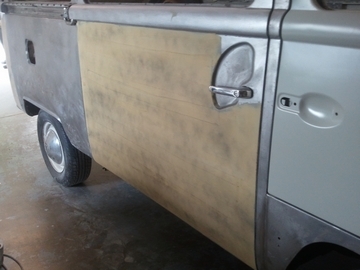 A few dents removed before we got the doors in sealer. 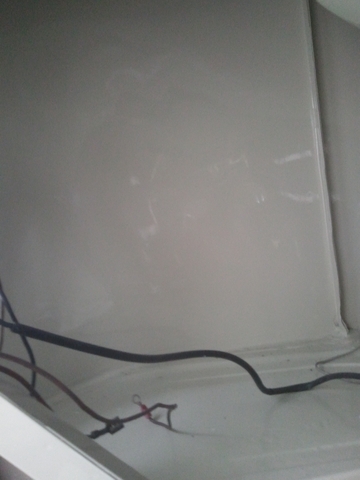 Front screen surrond was rotten in the usual place. 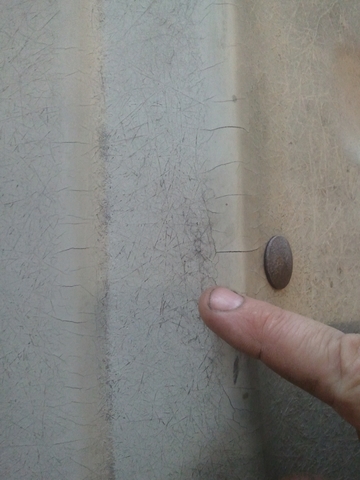 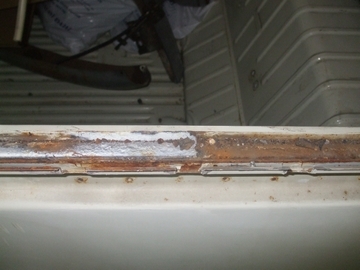 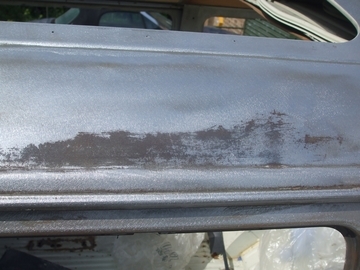 Roof bare metalled and to our supprise there was a lot of surface rust around the gutter areas. 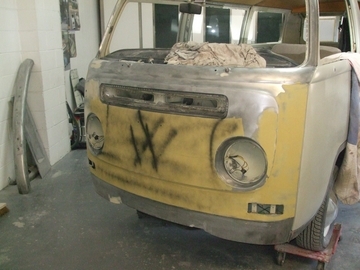 looking a whole lot better now! 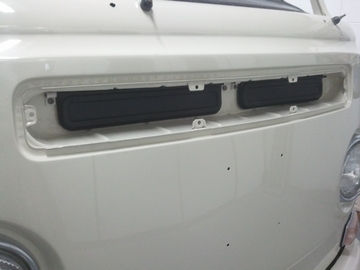 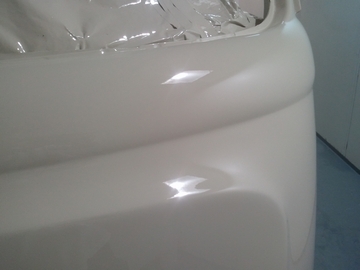 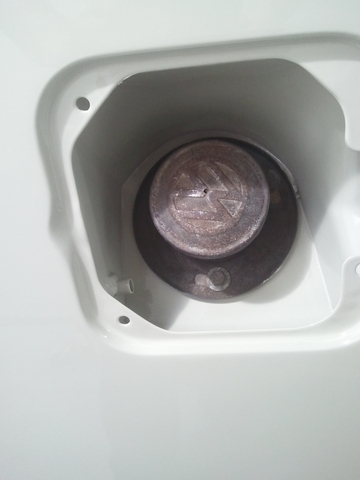 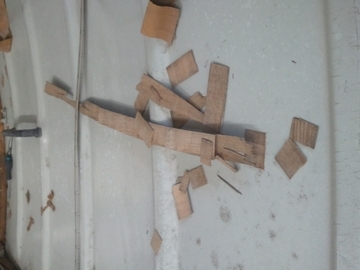 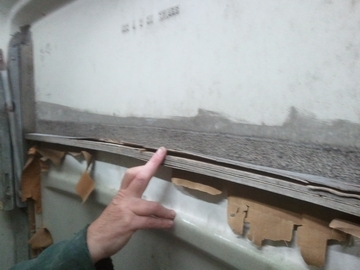 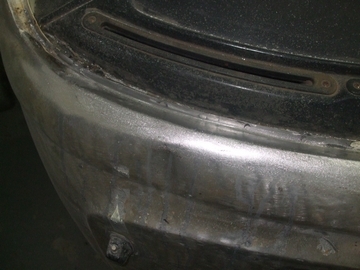 The rear corner panel beated and heat shrunk. 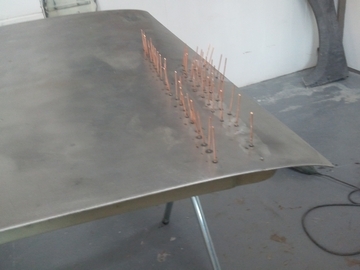 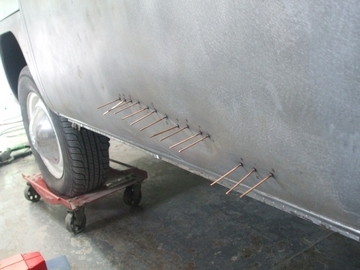 Return edge cut and ready for welding. 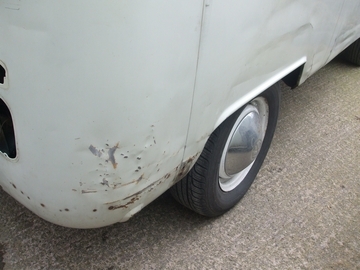 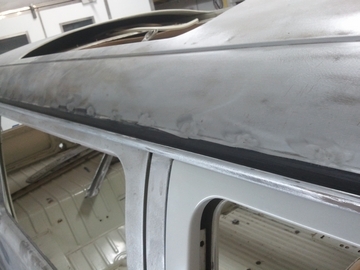 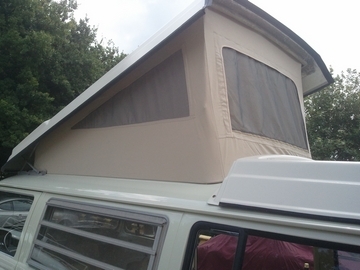 We are very happy with this as the corner was so badly damaged we were considering cutting it off to the belly line but as we panel beated the top 3/4 out it was easier to just repalce the bottom 1/4 as it was rusty and badly folded up. 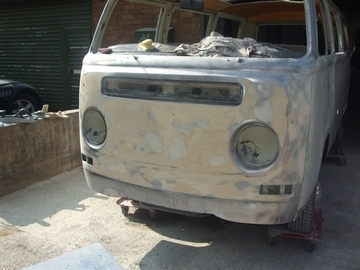 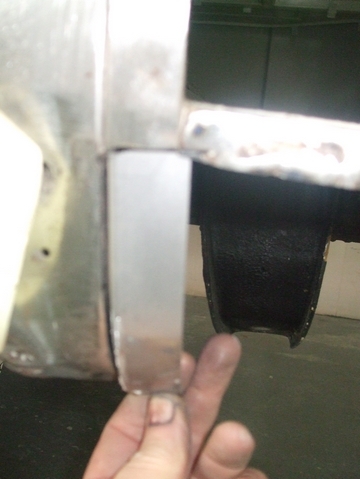 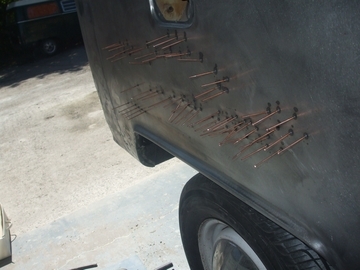 Westy awening channel removed and the 32 holes welded up! 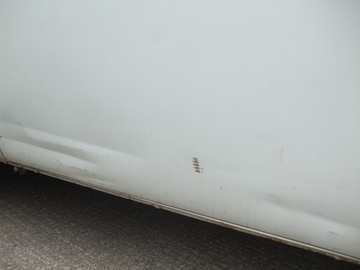 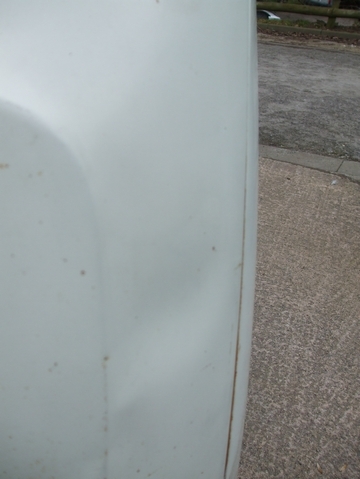 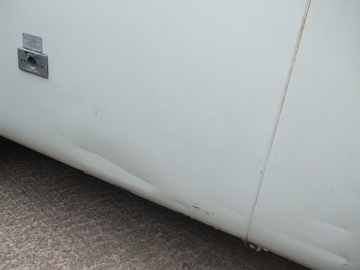 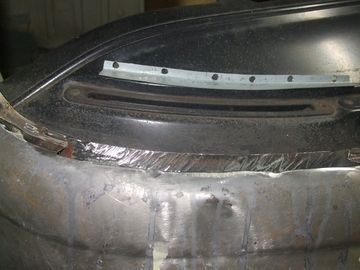 More accident damage, here the inner arch is pushed out. 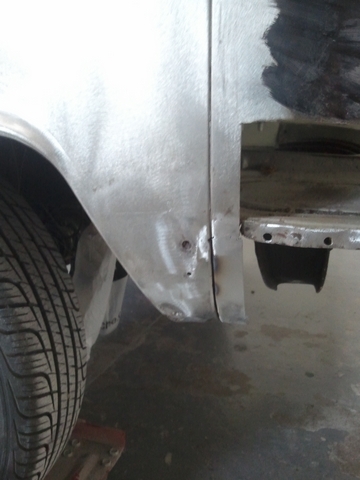 Dents pulled and heatshrunk the metal to tighten it all up again. 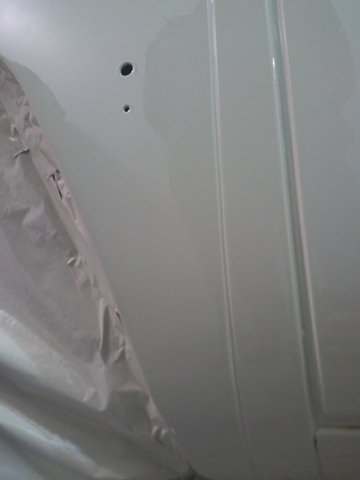 90% Pulled out for very minimal filler. 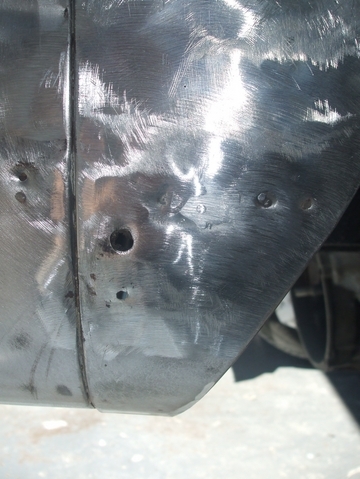 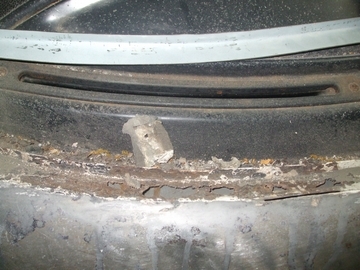 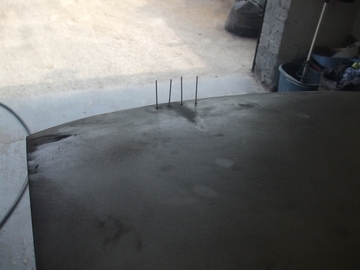 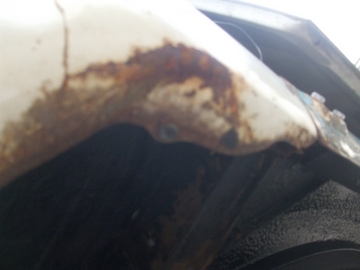 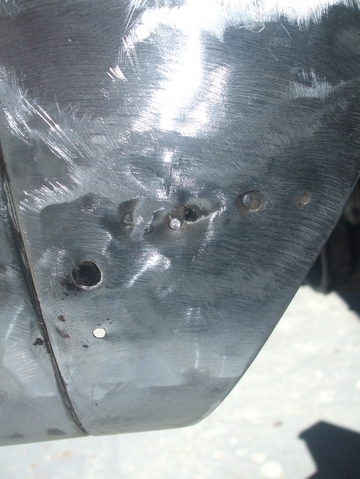 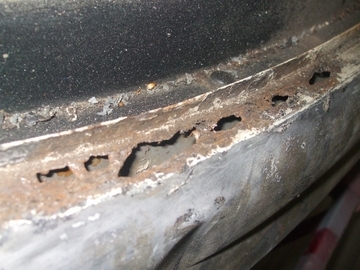 Holes blown in the wheel arch from a previous battery tray repair. 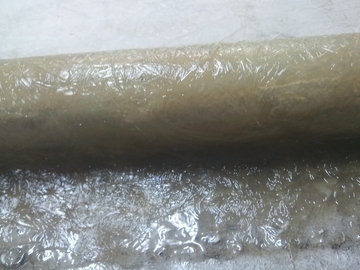 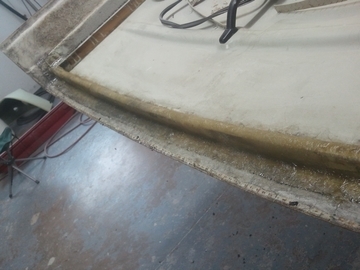 Front skim coated to remove all the ripples. 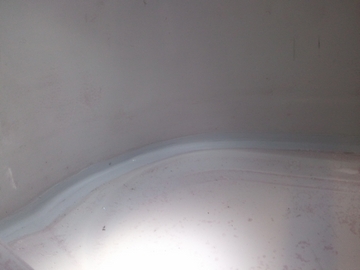 Corners skimmed up and now looking very streight. 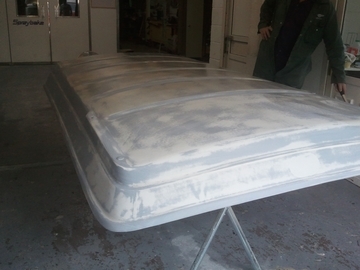 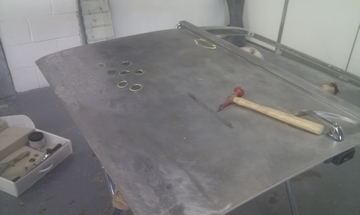 All the ripples smoothed now with a thin skim coat! 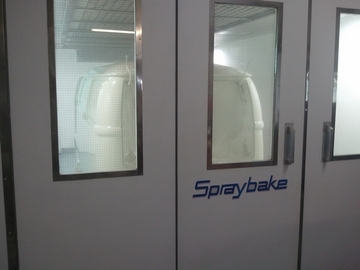 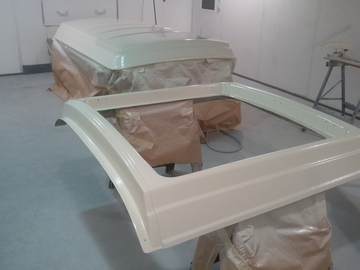 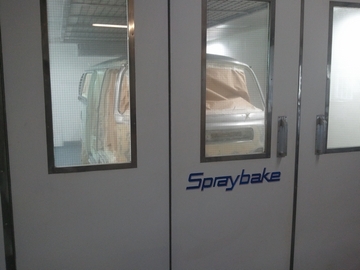 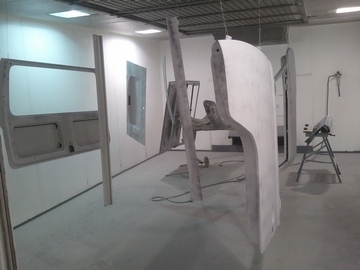 In the booth and baked at 70 before any coating is applied. 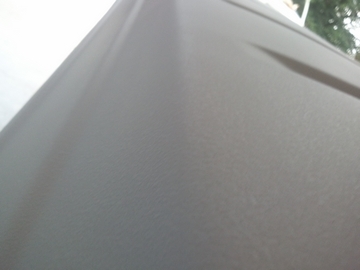 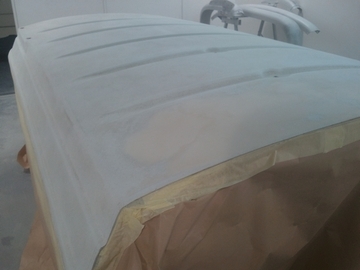 Followed by 2k surfacer primer and a guide coat. 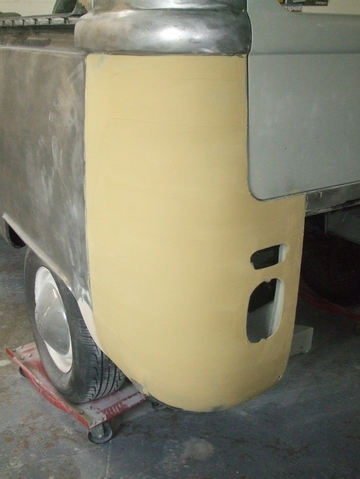 Block sanded down and looking damn straight! 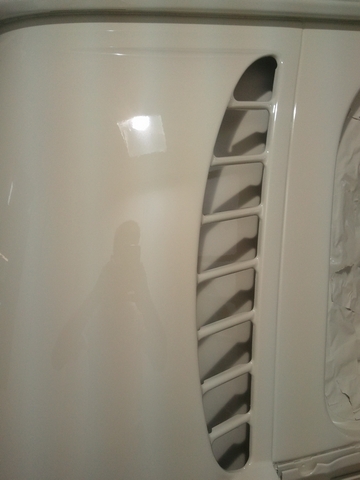 Battery tray re sealed to the new corner. 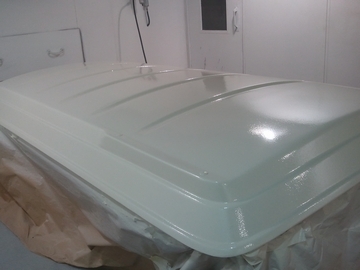 In the booth, top coated and baked at 60 degrees ! 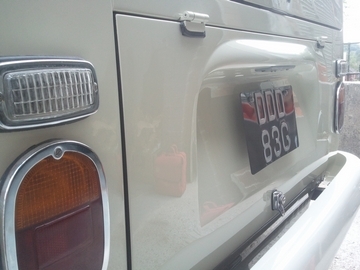 No awening chanel holes no more!! 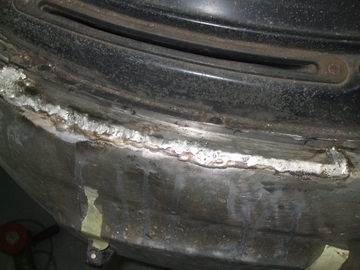 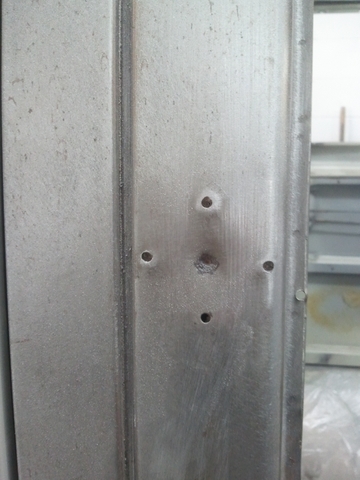 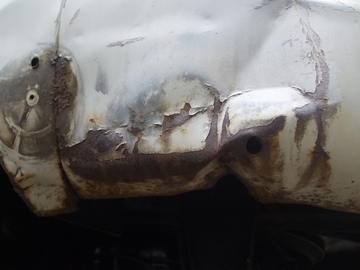 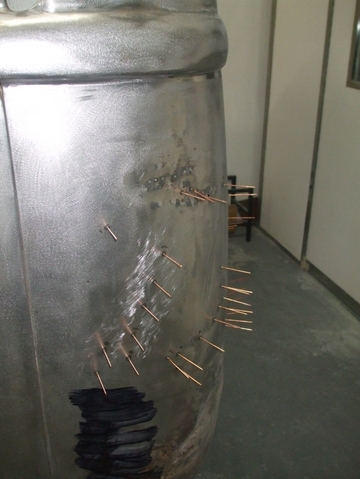 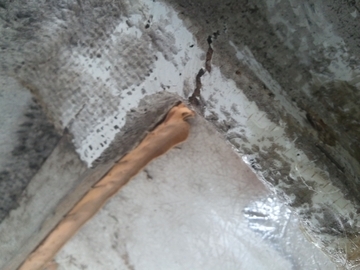 No signs of previous damage or welding here! 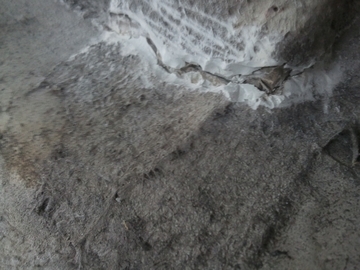 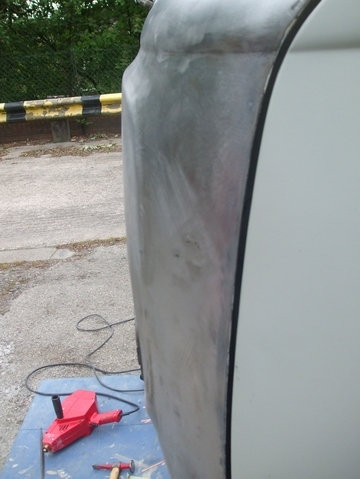 Plenty of cracks in the fibreglass topside aswell as the usual gel coat destroyed. 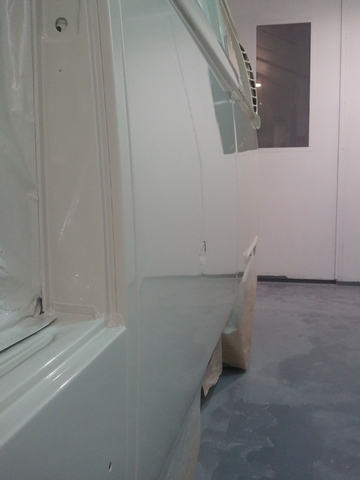 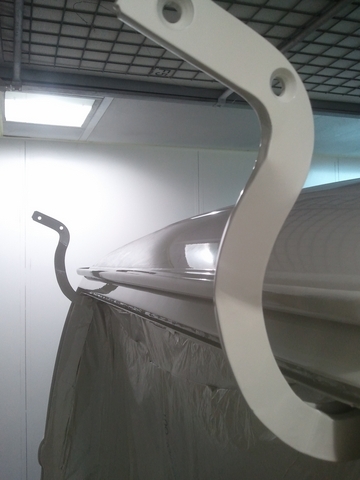 Painted cloud white and glossed down with a matting agent to a satin sheen. 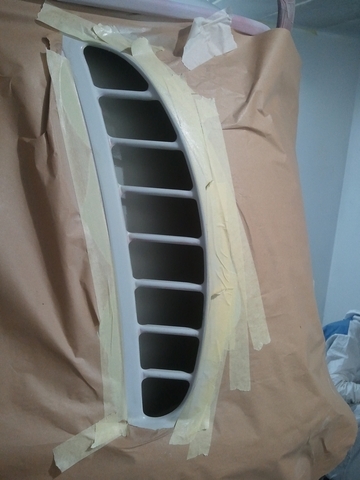 Vent covers painted although these are never seen. 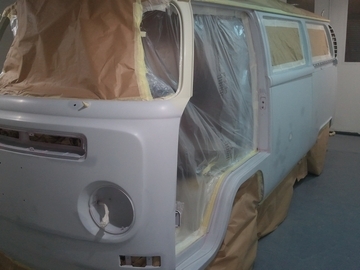 Panels painted, shell polished, doors hung back on and all lights,windows and fittings re installed. 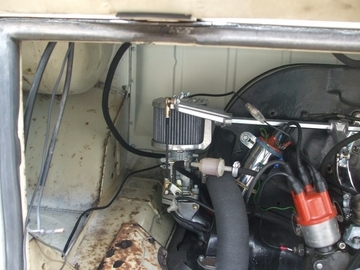 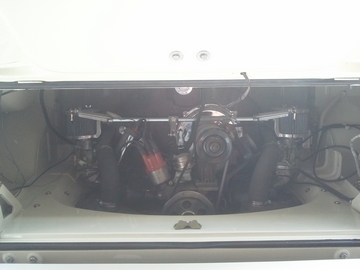 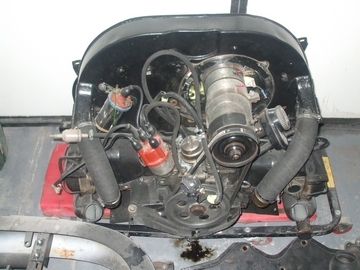 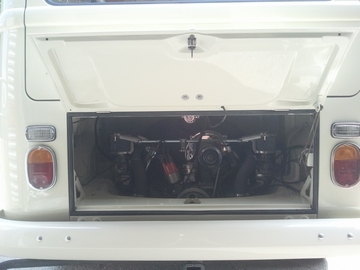 ENGINE BAY LOOKS REALLY GOOD,IT IS COMING ON GREAT! 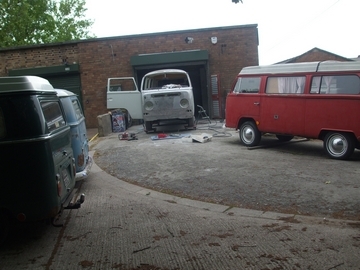 That looks one straight bus, i spoke to you both at Stanford hall,can`t wait to see the project bus. 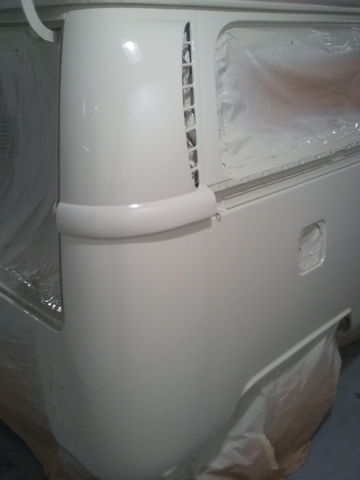 what a beautiful job,absolutely first class. 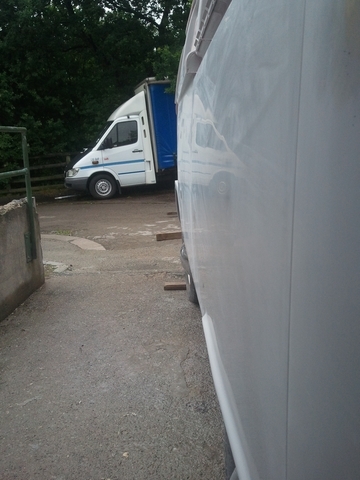 cant beleave it is the same vehicle,i keep going round to look at it.